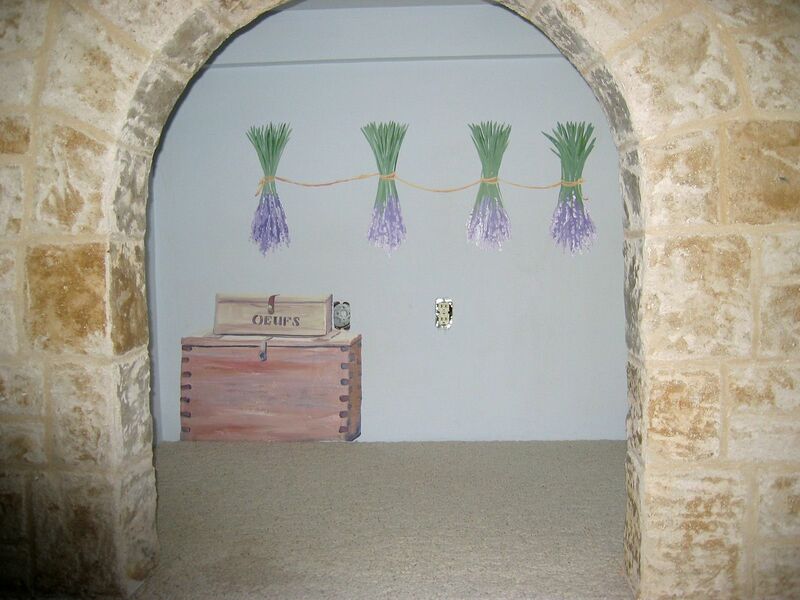 This family had imported many of the building materials for their house from Provence, including their hearth, the stone floors, and sink. Many of the items were recycled from original farmhouses. 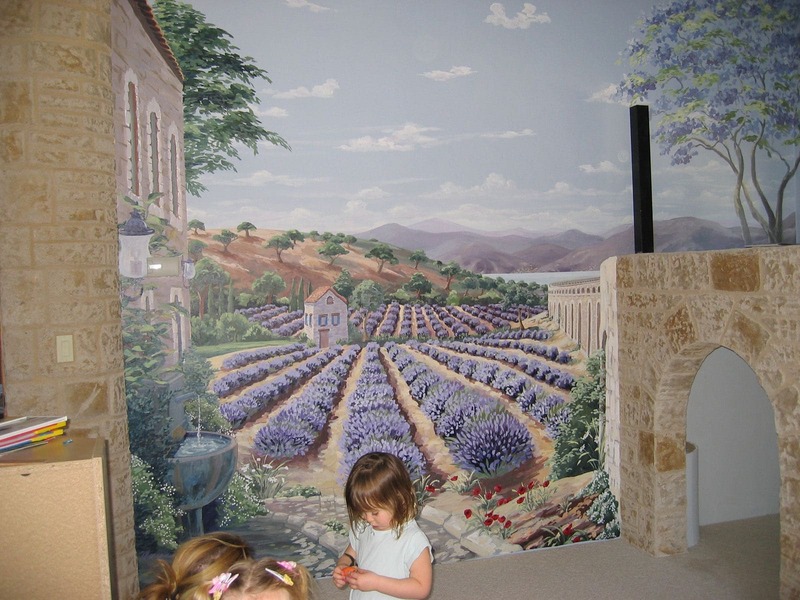 Since Provence was the inspiration for the house, it was a perfect fit to use the beautiful landscape in the children’s playroom. The house was built around a courtyard, and other rooms of the house look on to this mural, which is framed by huge glass windows on the opposing wall.